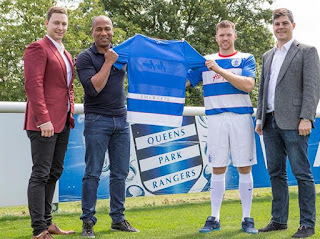 Sports Media Gaming are delighted to have brokered a wide ranging agreement between sports betting exchange Smarkets and Queens Park Rangers. The extensive deal includes branding on the back of shirts, stand sponsorship and training wear sponsorship. This is the first ever sports sponsorship by Smarkets. 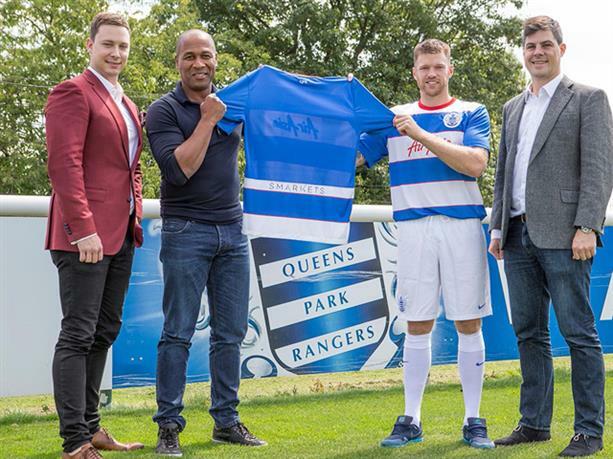 QPR and Smarkets have kicked off their new partnership with an official photo-call at Harlington. Les Ferdinand and Jamie Mackie were both in attendance, along with Jason Trost (Smarkets CEO) and Alex Wheldon (Smarkets CMO), to officially announce the betting exchange company as our Global Betting Partner. Smarkets was founded in 2008 by Trost, with the company offering its customers a betting exchange that offers a secure and transparent platform for trading on sporting, political and current affairs events. Smarkets’ platform combines cutting-edge technology with a focus on transparency and treating the customer fairly. As part of the agreement, Smarkets branding will feature on the back of the First Team playing shirts and shorts, as well as on the primary property position on the First Team training wear. As confirmed earlier this week, the Ellerslie Road stand will also be renamed to incorporate the Smarkets brand name. 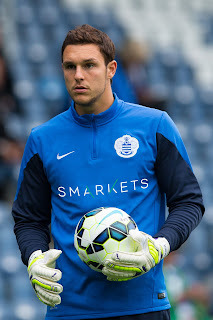 QPR CEO, Lee Hoos, told www.qpr.co.uk: “On behalf of the club, we are delighted to welcome Smarkets into the QPR family. “We have a number of new partners at the club for the 2015/16 season, and the introduction of Smarkets as one of our lead partners is one that we are very excited about. Trost added: “We were searching for a partner that would represent our ethos at Smarkets, and for us, QPR was a natural choice. The fans are incredible, and the organisation itself is truly fan centric.